Let’s face it. Autumn lawn care is a drag. Oh sure, raking the leaves up into a big pile on a perfect Saturday when it’s sunny and 60 degrees out so the kids can jump in them is fun. It’s tending to the yard on those dreary, wet, windy, 40-degree days that are too often the reality. We get it, but listen. As much as your teeth are starting to chatter and your knuckles dry up and crack in the wind, you have got to get the mower out one last time. ‘Cause this last cut is important. Ignoring the way the grass continues to inch upward because of the warm days that sneak in throughout our Indiana autumns leads to an unkempt look. But even if the sight of long grass sticking up through three inches of snow (it’s coming!) doesn’t bother you, the snow mold that long grass it harboring underneath might. See, after grass gets wet in autumn rain, the moisture gets trapped underneath sudden snowfall. That creates perfect conditions for winter mold, which creates gray-colored circles you might not discover until spring. And that isn’t just a looks problem. There is no fungicide treatment that works after the fact. The best you can do is prevent the conditions mold loves by keeping the grass nice and trim. This won’t be so bad if you’ve been mowing regularly, keeping the grass around 3 inches in length. All you need to do is wait for a decent day and fire up the mower. If you’re lucky, the warm days are over and it’ll be one and done. Just don’t wait too long. Central Indiana usually has its first snowfall in November. You never want to cut more than a third of the length of your grass at a time. That’s a good way to damage it, or even kill it. You don’t want to trade gray circles for brown patches. That means, if you’ve let it go and it’s, say, over 5 inches long, you only want to cut about an inch and a half (1 inch and two thirds off of 5 inches, if you want to be persnickety about it and break out calculator and ruler). 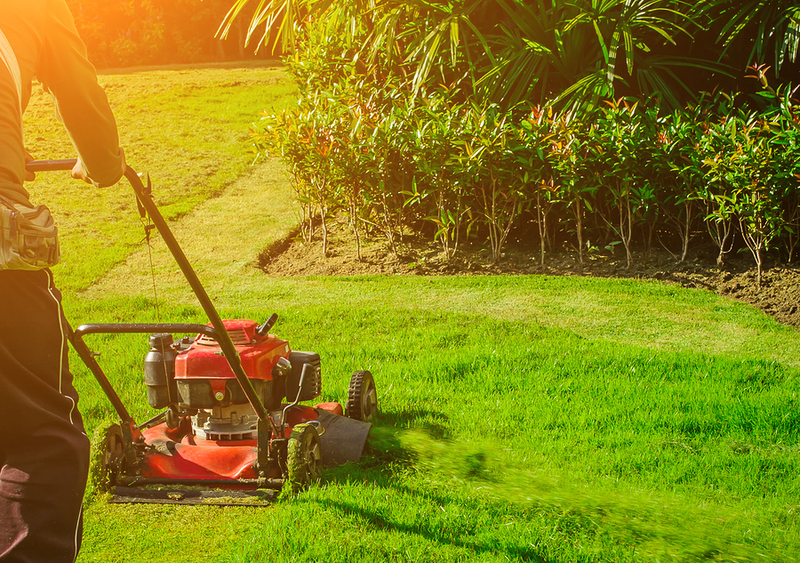 Guess what that means … you have another mow ahead of you! You need to plan a final final mow of the season, hopefully before snowfall. Every few years, it doesn’t snow at all in November. So even if you let the lawn slide, you might get lucky. Of course, we think the better option to rolling the dice would be to hire us to finish up your autumn lawn care for you … if you contact us soon enough. Otherwise, we’ll have to tell you “good luck” and sign you up for snow removal. Of course, we always welcome your calls for advice or to inquire about our services, especially if you want to plan ahead for next year. Give us a holler!